What are corporate prepaid cards? Prepaid cards continue to grow in popularity. According to a 2014 study by the Mercator Advisory Group, 56 percent of adults in the U.S. reported that they had purchased at least one prepaid card in the prior year. From 2006 to 2012 prepaid card payments, including corporate prepaid cards, increased by 18.5 percent per year. In addition to gift cards and other consumer prepaid cards, corporate prepaid cards have also increased in popularity. Corporate prepaid cards are cards that have credit card numbers and can be used to purchase goods at most retailers or merchants. However, corporate prepaid cards are not credit cards. Instead, corporate prepaid cards are cards that businesses can purchase. The companies can choose how much money to load onto the cards so that they can be used to make business-related payments and purchases. How do corporate prepaid cards work? When a business purchases a corporate prepaid card, the company can determine how much money to place on the card. The business owner funds the card with the amount of money that he or she chooses. The card might be branded as Visa, Mastercard, Discover, or American Express so that it can be used at most retailers. Some company prepaid cards are co-branded with specific retailers and can only be used to buy items at those stores. Businesses can give the cards to their employees so that the workers can use them to buy supplies or to make payments for the company instead of using their own money and submitting expense reports. Why should my company be using a corporate prepaid card? Using company prepaid cards can offer several advantages to businesses. When your employees are given company prepaid cards to use, they will not have to spend their own money on business-related purchases or to wait to be reimbursed. Using corporate debit cards can allow you to end reimbursements at your company. This can help you to avoid problems such as false reimbursement requests and your employees being forced to wait to receive their money back. Employees who have to wait for slow reimbursement processes may feel aggrieved and be reticent to make purchases for your company in the future. How does a corporate prepaid card relate to a corporate credit card? Business debit cards are similar to corporate credit cards in several ways. They both have credit card numbers and can be used to make purchases nearly anywhere. Both types of cards can be used by businesses to make payments and purchases in a timely manner and help to track expenses. Company debit cards also differ from corporate credit cards in several ways. Debit cards are not credit cards, so they do not require businesses and their owners to submit to credit checks. When employees use the corporate prepaid cards, the money is subtracted from the businesses’ accounts rather than adding to the level of debt. Business debit cards differ from business prepaid cards in a few ways. Instead of simply buying a card in a specific amount, a business debit card is linked directly to your deposit account. 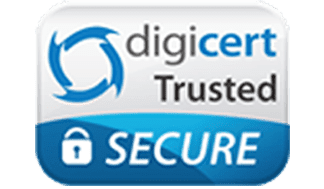 Some business debit cards have robust expense control features, allowing you to limit the type of products and services that your employees can purchase with the cards. Using business debit cards can help you to reduce the risk of fraud. You can see exactly how each employee uses his or her card, giving you greater transparency. Expense controls help you to restrict what your employees can purchase, when they can use the cards, and how much they can spend. Prepaid cards can help to improve your business spending. Since you can decide how much money each card has available, you can use the cards to limit your expenses to fit within your business’s budget. For example, you can give a prepaid card to your office manager with an available limit of $1,000 and instruct her to use the card to pay your office equipment lease and utility bills with it. While prepaid cards can help to keep your expenses under control, a business debit card may offer even more benefits. Unlike a prepaid card, a Bento for Business Visa debit card allows you to limit your employees to making only purchases that you have authorized. With this card, your office manager may be given a Bento card and told to pay your equipment lease and utilities. If she tries to use the card to buy gifts for her family, the transaction will be declined. The card will only work for the expenses that you have chosen for the card. Expense tracking is vital to the success of your business. If you do not track your employees’ expenses, your business stands to lose money because of waste and fraud. It is an unfortunate fact that businesses lose substantial amounts every year to internal thefts. According to the Association of Certified Fraud Examiners, businesses reported a median loss of 5 percent of their annual revenues. More than half of the businesses in the study suffered losses because of weak internal controls. When you use company debit cards, you can make the spending of your business more transparent so that you can track your expenses by an employee or by the department. In a case of fraud that happened in New Haven, Connecticut, a city employee was charged with larceny. The employee, 41-year-old Bianca Bowles, made $11,000 in unauthorized purchases on the city’s credit card. Bowles, who had worked as an administrative assistant, used the credit card to pay for room and board at a hotel in New Haven. The thefts were discovered on Aug. 21, 2018, and Bowles was fired the next day. She turned herself into the police on Oct. 4, and she is facing charges of second-degree larceny, payment card fraud, and identity theft. It is unclear how long Bowles had been stealing the city’s money with the credit card. Choosing business debit cards from Bento for Business can make your accounts payable department run more efficiently. The cards can be linked to your accounting software. When your employees use their cards to make purchases, they can photograph the receipts. Both the receipts and the transaction information will upload automatically into your bookkeeping software. The integration with your accounting software can help you to avoid errors during manual data entry and save time and labor costs. This can help your accounts payable department to concentrate on other important work for your business. What makes Bento for Business stand out? Bento for Business stands out from other card issuers because of the strong controls it gives to businesses. You are able to place limits on what each employee is able to purchase and on when they are able to use their cards. Bento was established by financial industry veterans who wanted to offer terrific fraud prevention and expense management solutions to small businesses. 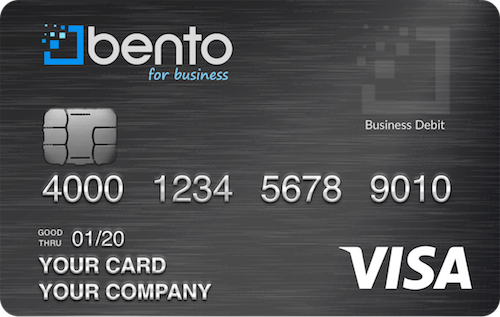 Bento offers a 60-day free trial so that businesses can try out the cards before they decide whether to keep them. To learn more about the Bento solution for business spending, call 866.220.8455.